This exhibit depicts a C5-7 anterior cervical discectomy and fusion to decompress the spinal canal. The procedure begins with a transverse incision over the anterior neck to expose C5-7. 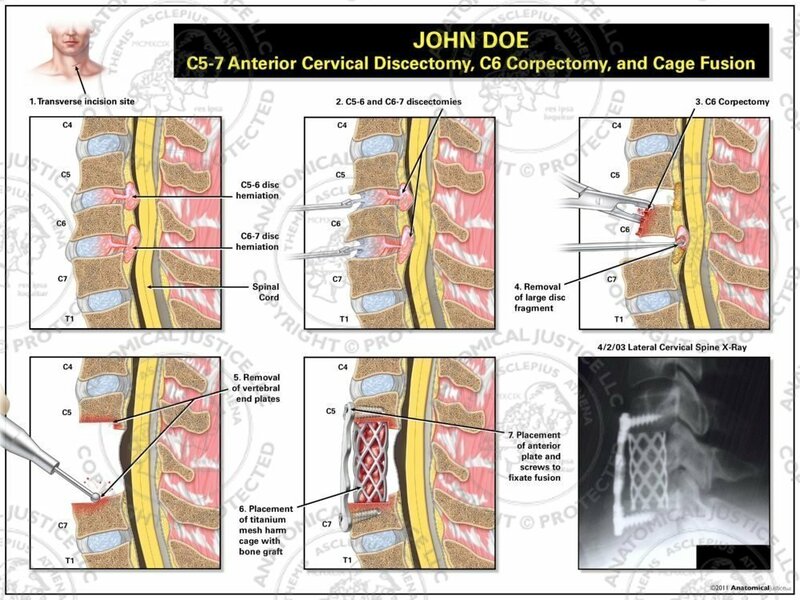 Two large, extruded disc herniations are then removed at C5-7, and a C6 corpectomy is completed. 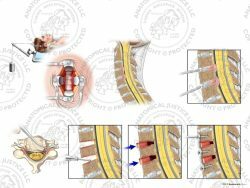 Next, the vertebral endplates of C5 and C7 are decorticated with a drill. 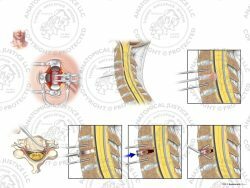 A titanium mesh cage filled with bone graft is then placed into the disc space, and an anterior plate is secured.